Anyone who saw the documentary or Broadway play would likely balk at living in the actual home that "Grey Gardens" inspired. After all, the home was in poor shape during the filming of the documentary, and it's even rumored to be haunted. But eight months after being put onto the market, the home has finally found a buyer, the Washington Post reported. It was originally listed for just shy of $20 million in February, though that price was reduced to $17.995 million in April. The East Hampton, New York, mansion now looks nothing like it did in the 1975 documentary showcasing the lives of Jackie Kennedy Onassis' ex-socialite relatives. Journalist and author Sally Quinn purchased the mansion with her husband, the late Washington Post editor Ben Bradlee, for $220,000 in 1979. They completely rehabilitated it to the current splendor that it now shows, according to The New York Times. Quinn would not disclose the name of the buyer or what he or she paid, though she told the Post that this individual "really understands the house." She added that she will be holding an estate sale of many of the home's furniture pieces, including things she found when she first bought the house. The Corcoran Group had the listing. 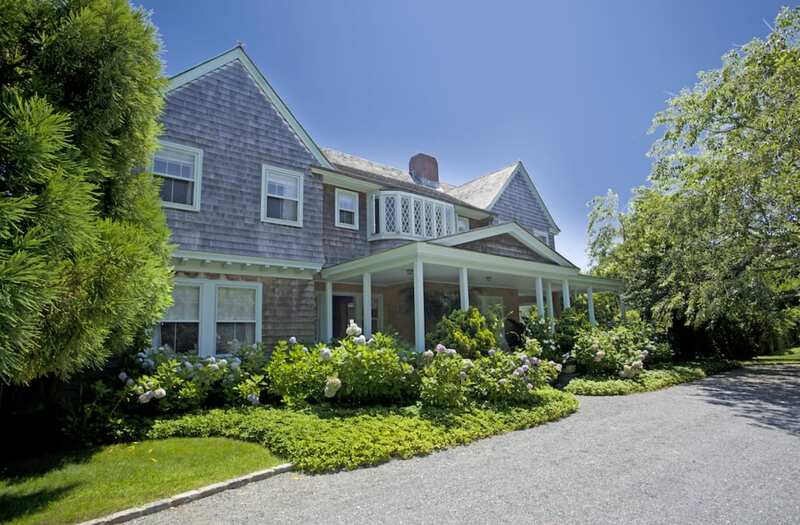 The home has the slate exterior of a typical Hamptons home. When Quinn renovated the home, she kept much of the skeleton of the building. The listing says it was "restored with an eye to the past." The furniture is original and was also restored by Quinn after she found it in the attic. It was built back in 1897, before things like in-home theaters were commonplace. "This home will not be attractive to a Russian oligarch," Quinn said to The New York Times. A pool out back provides a place to go for a dip. The estate measures about two acres and is a stone's throw away from the ocean.